Cheap targeted traffic. Sounds good, right? But usually there is something in the way. Not enough time. Not really cheap. Doesn't work unless you get lucky. Today is different. Today you will learn about the best source of traffic available! A POWERFUL SOURCE OF TRAFFIC FOR YOUR BUSINESS THAT CAN HELP YOU DELIVER CHEAP TARGETED CUSTOMERS THAT CONVERT! Get more clicks, more opt-ins, more sales and ultimately more profits. ....then this is for you. This traffic source is so powerful, you will actually turn your business into a money making powerhouse. And you will learn the entire process in under 2 hours! Does it sound too good to be true? . More than 100 Million people watch online videos every day. Entrepreneurs, YouTube is getting BIGGER AND BIGGER, so the opportunity to connect with your audience and get targeted traffic is SKY HIGH. 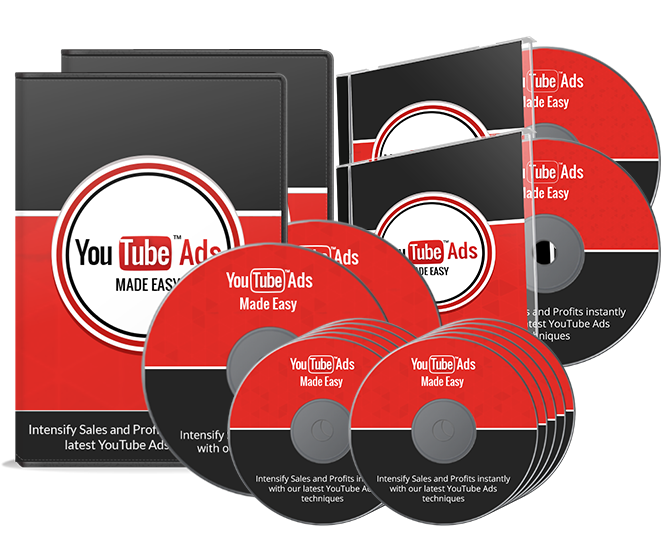 All you need is a step-by-step hand holding that shows you the latest and proven YouTube advertising strategies that simply convert! The tricks and tips you will learn here, are exactly the same ones used by successful online marketers. In order to increase their profits by using YouTube Ads . P.S. YouTube is the 2nd BIGGEST search engine in the Internet, this means you have access to hundreds of thousands of potential clients. So, don’t give it a second thought and get started usig this incredible advertising platform NOW. P.S.S. This training course was designed to help you create a long-term sales strategy using YouTube ads. The lessons you will learn here will help you and your business for years to come!